In a recent blog post, Rasmus discusses how one question can change everything. 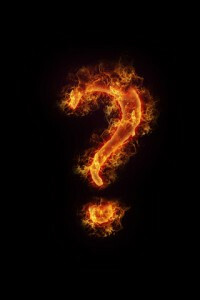 It is a question that helps to dig out and create some clarity in times of uncertainty and lack of direction. When Intel was evaluating the changes in the sales of memory chips, they were seeing a drop and in 1985 they had a big drop in memory chip sales. Founder Andy Groove was having a discussion with CEO Gordon Moore as they discussed this issue. As Groove and Moore debated what to do, they discussed that if they messed up, the Board may replace them. So Groove asked Moore what a new CEO would do if they were replaced? Moore, without hesitation, said he would get out of chips and into microprocessors. So Groove said, let’s get up and walk out the door and then come back in and do it ourselves! That is exactly what they did, and we all know the story from there. So when looking for a way to get real with your situation, ask what your successor might do if he was brought in and didn’t have the baggage of being stuck with all the decisions and dollars spent previously. Getting out of the quicksand of the past is tough, but maybe looking at it this way and asking this question is a way to do it. As was discussed a few weeks back, the option of asking the question, “what is the job that our customer wants done,” is another way to look at prospects and to open up an untapped white space for opportunities.